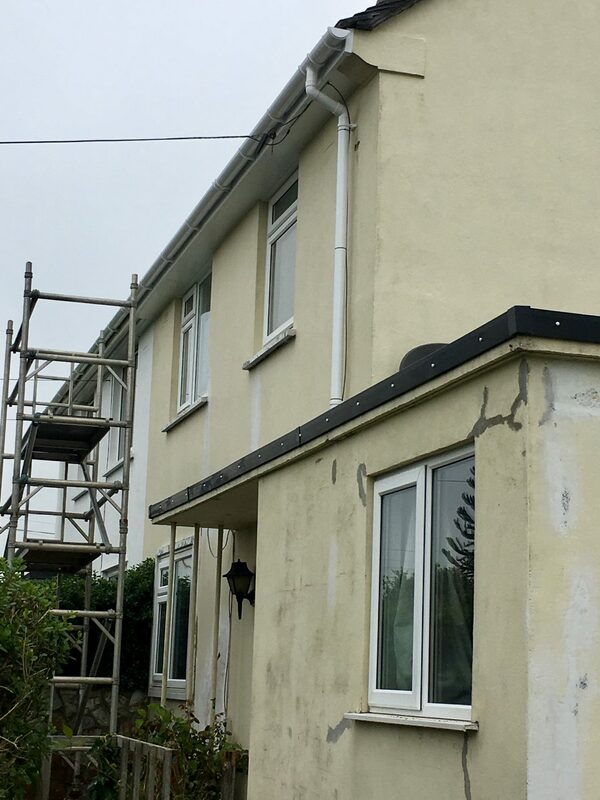 We have recently finished installing white 18mm replacement fascia boards and white 9mm soffits with white half round guttering and down pipes. 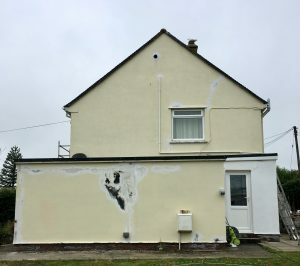 We was also asked to pressure wash and paint the whole house. 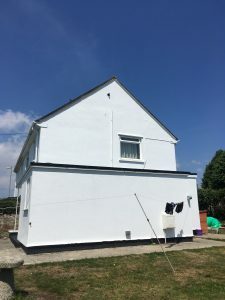 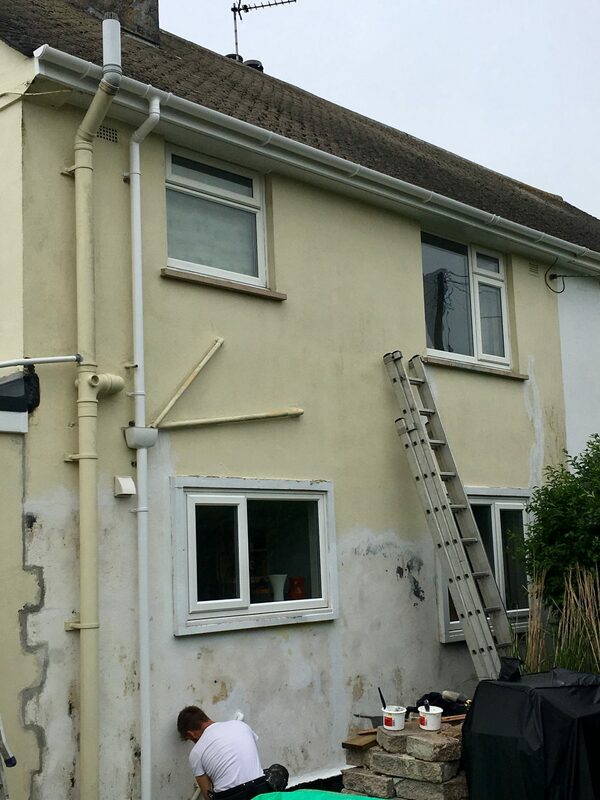 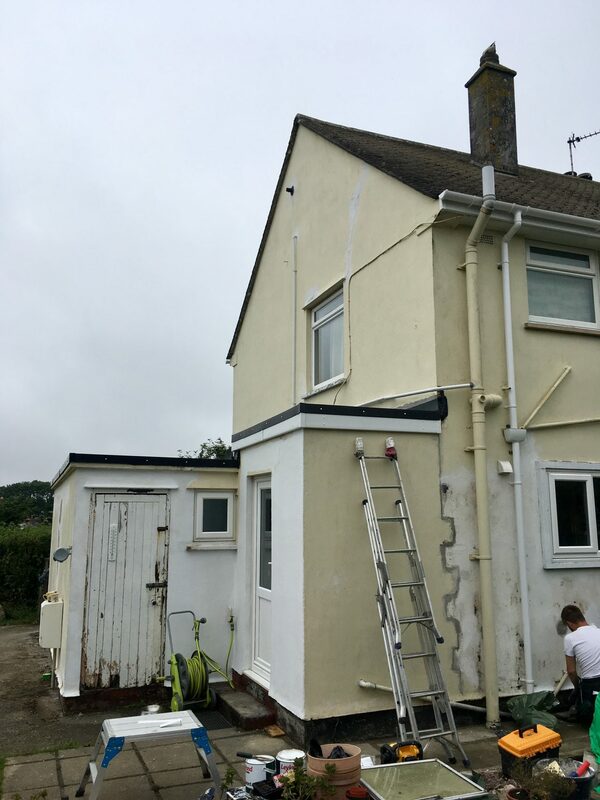 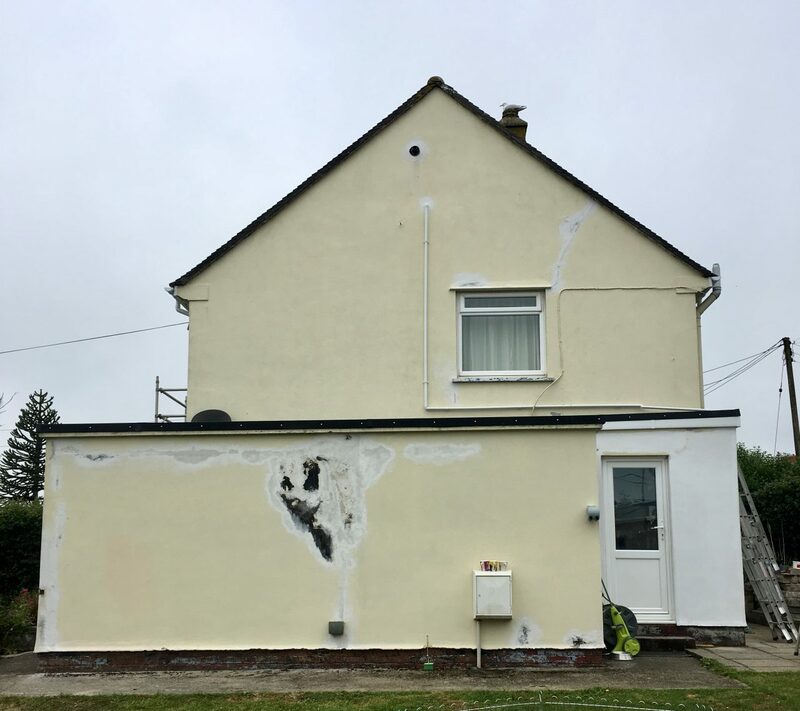 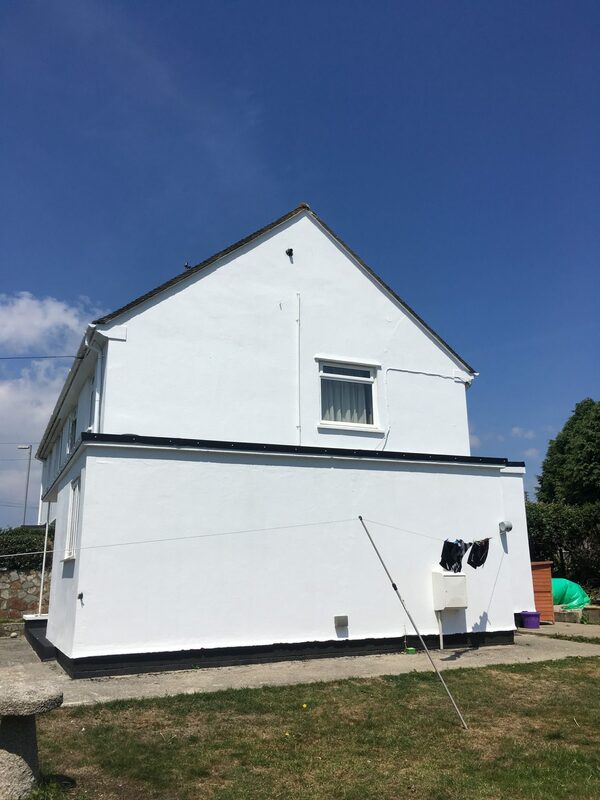 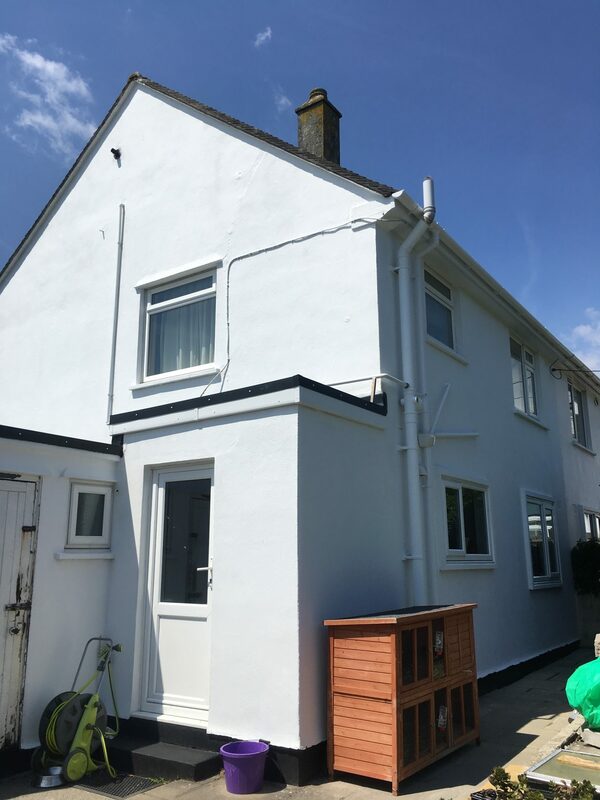 the installers repaired any cracks and sorted any lose paint before giving the gable end 3 coats and the front and back two coats. This is a repeat customer for us as we installed there new Firestone EPDM flat roof. 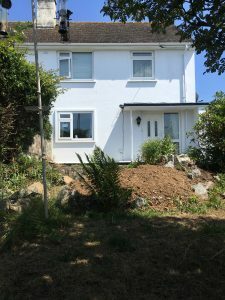 Now we have completed the whole house in Helston its looking very smart and we have another very happy customers.